You’ve heard of Xtra Large, but how about Xtra Long? 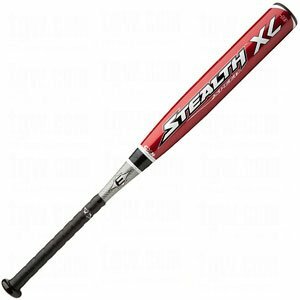 Introducing Easton’s latest innovation, the Stealth Speed XL, the bat with an Xtra Large sweet spot and Xtra Loud POP! And if you don’t believe us, ask the players in the 2009 Little League World Series. Over half of them were swinging this bat on opening weekend. Have your son swing the bat of champions. 28 in. / 18 oz. 29 in. / 19 oz. 30 in. / 20 oz. 31 in. / 21 oz. Other Models of the Easton Stealth Speed. Hello and welcome to the Easton Stealth Speed Xl (LSS4XL) page. I am trying to agergate as much content about the Easton Stealth Speed Xl onto this one page page. Plan on finding links out to reviews, videos, forums and my ebay listings. I do have about 7 of Easton Stealths in various height/weights and conditions. Please checkback often for RARE bats like the Easton Mako, Miken Decoy, Easton Extended, Easton Synergy, Easton Synergy Flex, Anderson RocketTechs, Anderson Techzilla, DeMarini The One and many more. Buy with Confidence! 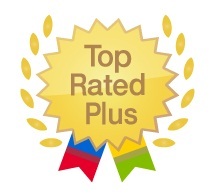 I am a Top Rated Plus and Bronze level Power Seller on Ebay. There awards wer last validated March 2015.